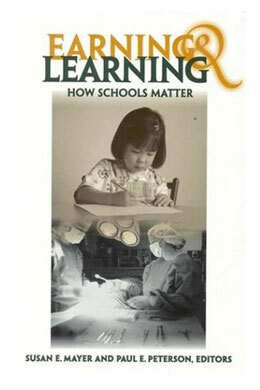 The essays in this book report estimates of the effects of learning on earnings and other life outcomes. They also examine whether particular aspects of schooling - such as the age at which children begin school, classroom size and curriculum - or structural reform - such as national or state-wide examinations or school choice - affect learning. Taken together, their findings suggest that liberals are correct in saying that more investment is needed in early education, that class sizes should be further reduced, and that challenging national or state standards should also be established. But they also seek to provide support for conservatives who ask for a more demanding curriculum and greater school choice. Contributors include John Bishop, Eric Hanushek, James Heckman, Christopher Jencks, Caroline Minter Hoxby, Fred Mosteller and Christopher Winship.